Hoping for advances in technology is like hoping that tomorrow will come. While it is a 99% certainty that it will happen, we really don’t know how it will turn out. We usually hope for tomorrow to be amazing. It is human nature to desire more and better for the future. As we get closer to the next generation of gaming, we will be talking about some of our favorite parts of this generation’s games and what we hope to see in the future. 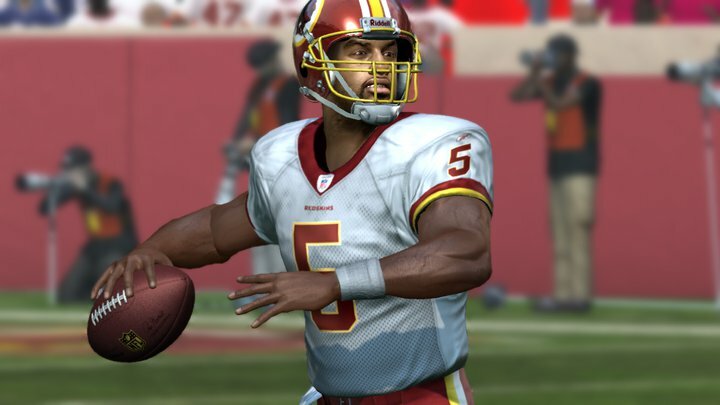 If you have read any of our coverage of Madden 13 and real time physics you will see that it is one of the more important parts of gaming at this point. Players and characters have ‘looked like’ their real-life counterparts for a couple years now. While EA Sports has taken awhile to get more face scans, it is something that will indeed improve for the next generation. However, physics and processing power are going to be more important than something just looking pretty. Take Battlefield 3 for instance – not only do you see guns and enemies, but you see buildings and vehicles that can easily explode and remind you that some things look cool but they just aren’t ‘super real’ just yet. That is where the physics and actual graphical ‘processing’ are going to be more important than some sort of glorified screenshot that we see even this generation. PC games aren’t necessarily held back like console games in this way. Well, they aren’t held back ‘as much’… and it is something that PC gamers are always happy to point out to console gamers. Console gamers shouldn’t expect ‘real life’ realism yet. If you take a look at the game from id Games that made everyone see just a glimpse of the graphical future of games – Rage certainly amazed gamers on PC and consoles alike. Even with a bunch of driver problems on PC it is still a great benchmark graphically. The issue XBox 360 users got to see as they opened the game for the first time was the fact that it came on 3 discs. While PS3 owners got to snicker and laugh because they have Blu Ray playback, XBox 360 gamers simply had to enjoy Rage with a couple swaps of the disc. Other gamers might even recall having to switch discs on their 360 while playing Rockstar’s L.A. Noire. 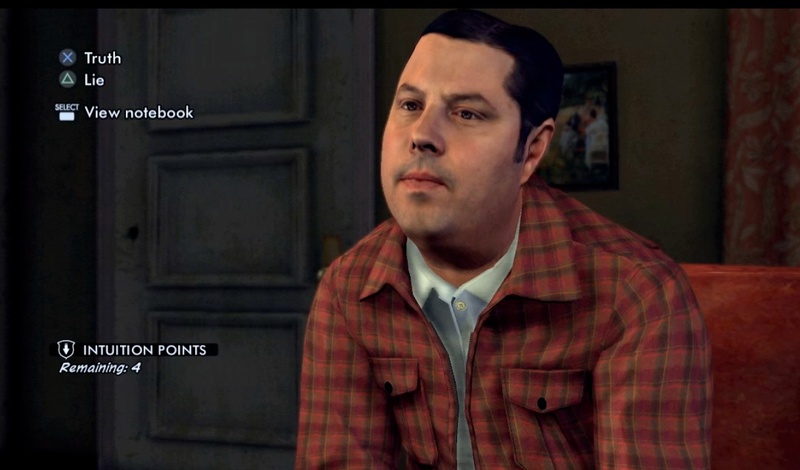 This game, while running on the same engine as Grand Theft Auto and Red Dead Redemption pushed a new era of facial structure and movement in games. Never before have you had to interpret whether someone was lying to you based on their facial expressions, but in this case it made the game incredibly innovative even if it was quickly disregarded as a must have title. L.A. Noire still ranks as one of my favorite titles that came out during this generation of consoles because while it was in development for what seems like forever (nearly 7 years) it was still incredibly innovative and risk taking from a graphical and gameplay perspective when it game to interrogating suspects. There is still something to be said for games that take a chance to amaze you and that will never go away. Perhaps one of the most famous hits in NFL history is the one that Lawerence Taylor put on Joe Theismann. While this is an extremely gruesome hit (please don’t watch this video if you get queesy) – it is a fine example of something that isn’t in Madden NFL football – real time physics with real time injuries. Perhaps one of the most desired and denied wishes of gamers is realistic ‘real-time’ physics. This basically means that if a character is moving at a high rate of speed and tackles someone going a different direction you should see a collision that makes you go “oooohhh!”. What we have been seeing instead are animations that are ‘canned’ and play out in an expected fashion almost every time. Even if you don’t play sports games it wouldn’t be hard to imagine a fighting game or an action game that had better real-time physics. Games like Assassins Creed or Mortal Kombat could become some of the most amazingly technologically advanced console games ever made (from the standpoint of physics). However, where many people want to see this drive improvement is in sports games. The current generation of consoles has been pushed to the limit with physics processing. Many games look good in this fashion (All Pro Football 2K8) and others look simply ‘overblown’ (Backbreaker). What we are really hoping for is something in-between that will give us true physics in regards to player size, speed and strength (with other such variables). It is our hope that someday we will be able to play a game of Madden, MLB, NHL or NBA 2K and see hits, throws, catches, shots, passes, interactions and injuries that genuinely make us feel like we are watching/playing a real game of football.